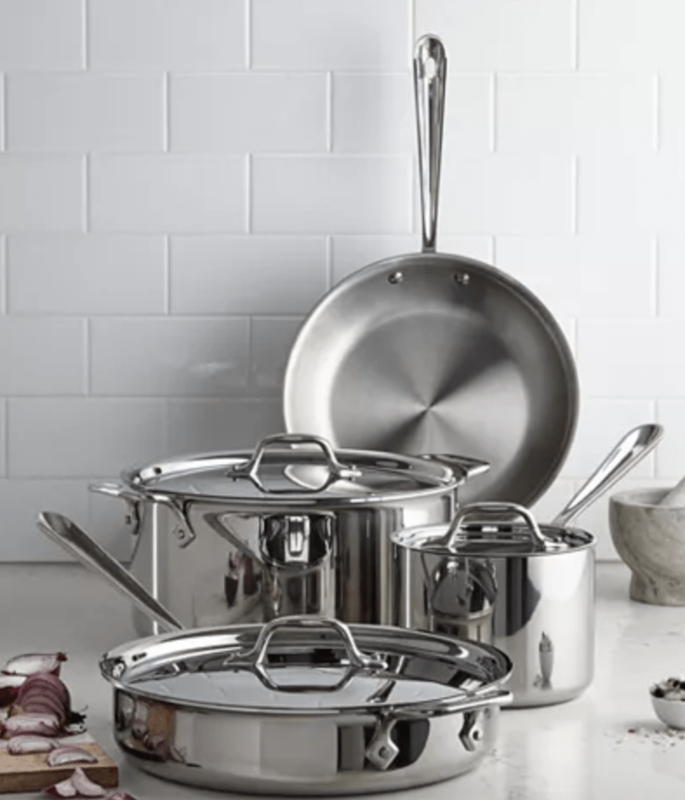 Today only, Monday April 8th, 2019, Macy’s Deal of the Day is for the All Clad Stainless Steel 7 Piece Set for $299 (Reg $629). This is 52% off & a huge discount on this high-quality, stainless steel cookware set. It also comes with a free gift included as well – a Stainless Steel 15″ Oval Baker & Pot Holder Set. When I was researching cookware sets this past fall, stainless steel sets were definitely the highest rated & most recommended & many friends recommended the All Clad brand to me when I reached out asking for ideas on brands. So this is an excellent price on a very highly rated brand. I swear by the All Clad. Cooks evenly, cleans well, has held up the best by far out of everything I’ve cooked with. It’s expensive but I started replacing piece by piece with the All Clad as individual pieces went on sale. All-Clad’s dedication to top-quality cookware is apparent in the durable mirror-polished 18/10 stainless steel construction and use of cooking highly heat conducive surfaces that don’t react with food, so you get exactly the flavors you want.